I live in a house with a person obsessed with dips and sauces. At times, I am done eating before some people have even fully outfitted their meal with the appropriate combination of sauces, dips, spreads and other accoutrements. Sometimes it’s endearing. Most of the time it borders on obnoxious and extremely messy and has been known to inspire disgust across the table from yours truly as the sauces converge into a soupy looking pool on the plate (and table). 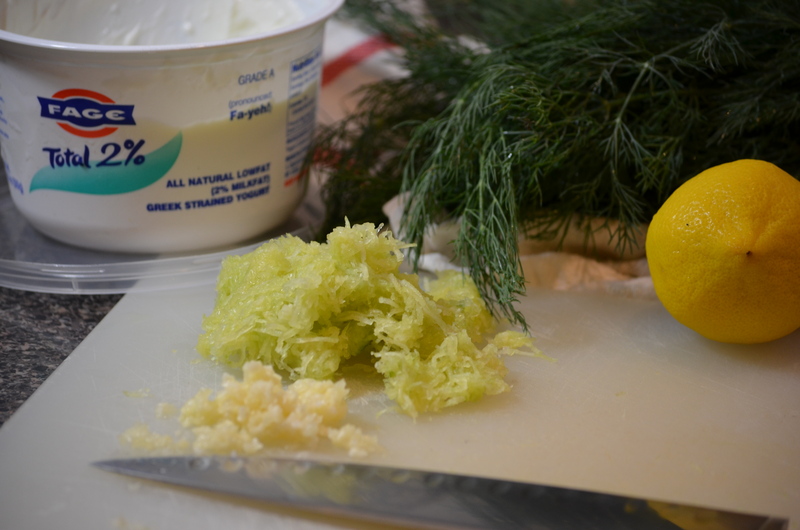 This is a recipe for one such sauce: Tzatziki. 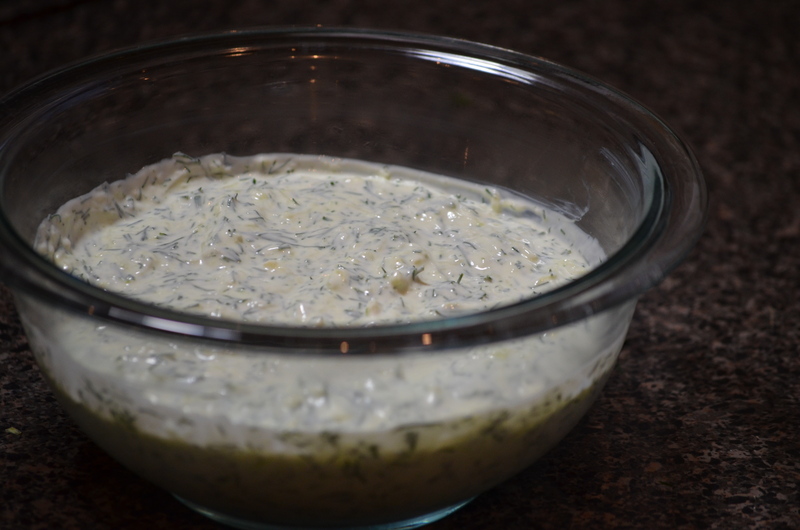 Despite the recent intransigence of the Greeks toward eurozone-imposed austerity measures, this dip/sauce remains one of my favorites and is great on falafel, lamb-things, pita, your finger – really anything. It’s easy to make and will come in handy occasionally on this blog. Side note: Aaron Copeland’s Rodeo Suite just came on NPR. Now I want a steak. I love pledge week(s). And now for the complicated instructions: mix all of the things above together and refrigerate.